Supplier selection is a key factor in determining the sustainability performance of supply chains. 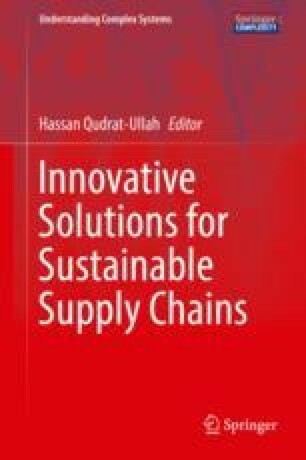 In this chapter, we conduct a meta-analysis of literature on supplier selection approaches considering all three dimensions of sustainability. To close the gap to current research, we enhance it with a review of recent papers. We present a classification of methods and criteria applied to sustainable supplier selection. In terms of methods, a clear trend toward combined methods can be observed. Combined methods allow for the integration of subjective judgment of decision-makers with quantifiable parameters, especially, environmental and social criteria demand methods to deal with qualitative as well as quantitative factors. Analyzing mathematical approaches applied to specific industries, we identified that literature is lagging to consider environmental issues in supplier selection approaches in the automotive industry, an example of a high-polluting industry. Furthermore, social criteria are hardly integrated into selection approaches in the apparel industry, an example of labor-intensive industries. Thus, we suggest that future research should focus on industry-related criteria tailored for the respective purposes.